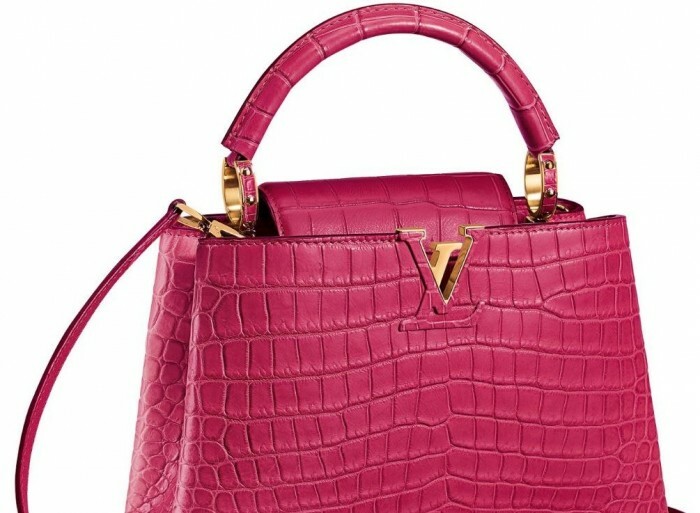 Here is a list of five ultra-luxury handbags from Louis Vuitton. It’s getting closer and closer to Valentine’s Day, if time is an issue with money is no object one of these five handbags will be perfect to show love and appreciation for your lovely lady. Made from best available leather and other materials, each handbag is guaranteed to light up any dress or wardrobe. 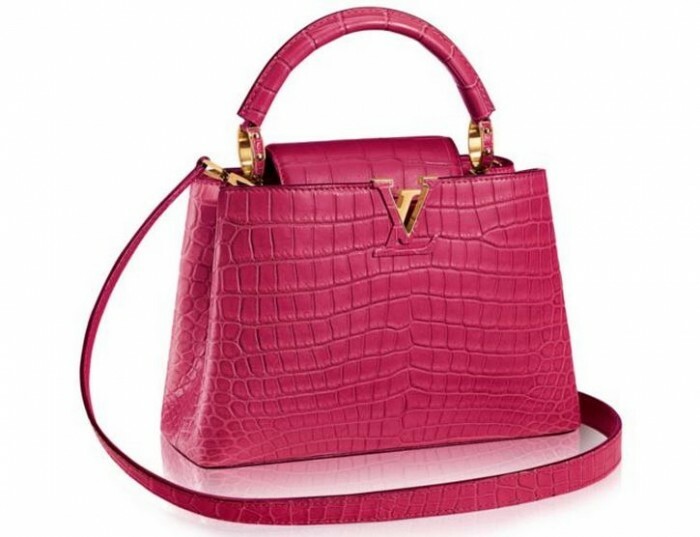 The most extravagant of them all is this bright pink mini Capucines BB in rare crocodile skin. Its interiors boasts a semi-rigid top handle secured by jewel-like gold rings, protective bottom studs and a LV logo on the front covered in leather that also acts as its lock. With its removable long strap it can be shoulder carry or wear cross-body. Interiors feature two compartments, a zippered pocket and a flat pocket. 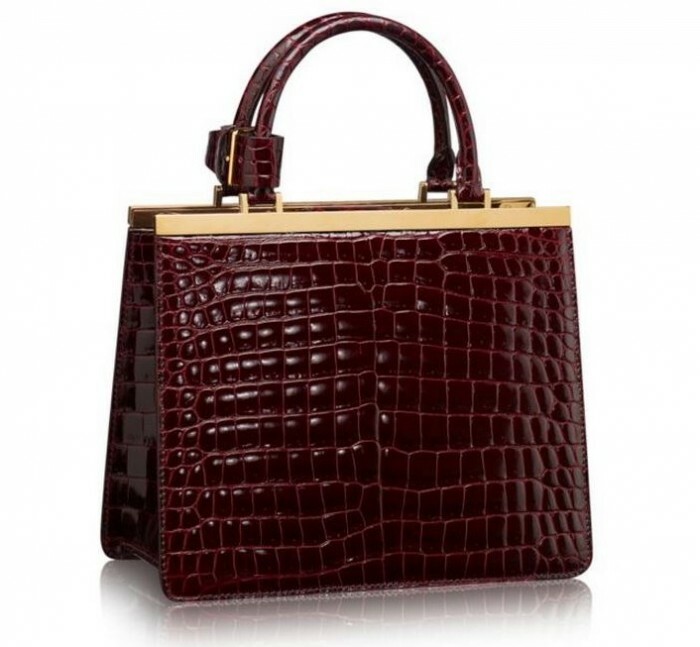 Another one of super luxury bags, the Déesse PM has a pure design that highlights its exotic alligator leather. An ideal bag to accessorize your outfit for a meeting during the day or fancy dinner in the evening. Features short Toron handles for hand or shoulder carry. Other exterior highlights include golden brass metallic pieces and magnetic closure. Lambskin lined interiors has one flat pocket. Available in colors Fuchsia and Blue Ocean with palladium brass metallic pieces. 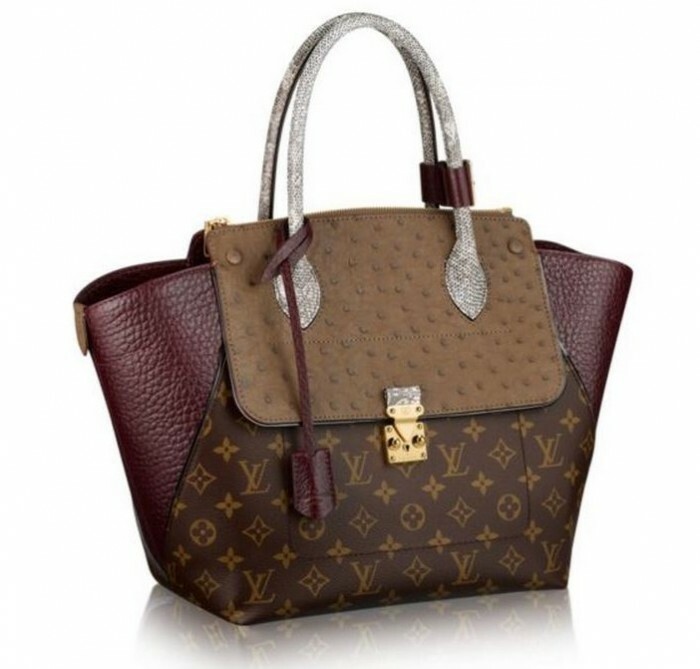 Named after Paris’ famous Avenue Montaigne, the Montaigne handbag from Louis Vuitton is equally famous and much loved among fashionistas. 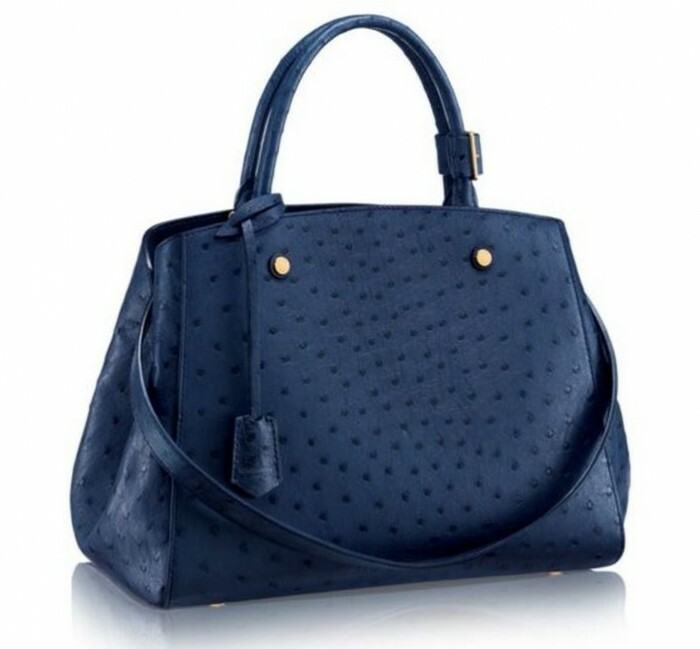 Fashion house always promote the Montaigne as “the” bag for businesswomen, this special edition made from pearled ostrich skin is no different. This MM is large enough to house a laptop and other essentials. Decorated with shiny golden brass pieces it boasts a secure hook locking system, protective bottom studs and a key holder, padlock, and handle fastener. Goatskin lined interiors feature 2 large compartments and 3 pockets with one padlocked. 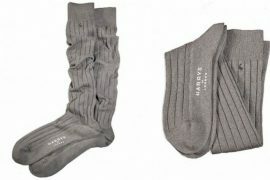 It can be held, worn over the arm, over the shoulder or across the body. 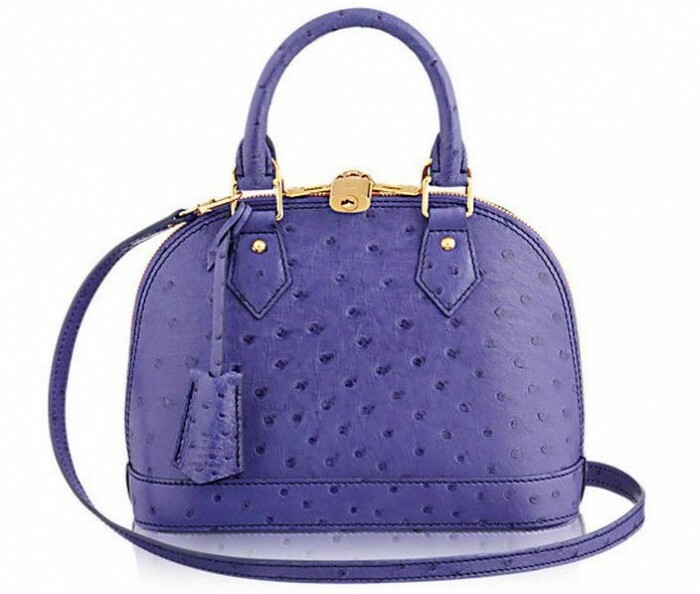 The Majestueux Tote MM is beautifully crafted from three exotic leathers ostrich, lizard and Gros Grain. Good part of its body feature Louis Vuitton’s famous Monogram canvas. A practical bag, it can be expanded or contract with a simple switch of styling. Contrasting leather detailing feature lizard Toron handles, Ostrich flaps and interior strap, and in Gros Grain sides, handle fastener and key holder. It also boasts shiny golden brass metallic decorations including S-lock opening. Goat leather lined interiors has one zipped and two flat lined pockets. Exteriors has two pockets. Available in colors Ocre and Bordeaux. We have seen many versions of the gorgeous Alma bag – in different sizes and materials. 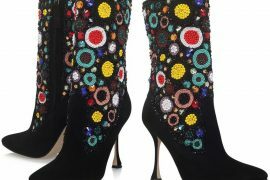 It is time to check its more lavish avatars, one such comes in pearled ostrich leather (also available in alligator and python) with shiny gold brass pieces adorning it. Though compact in size it still has enough room to carry all your essentials. It can be hand or elbow carry with Toron handles or with the removable shoulder strap wear it over the shoulder or across the body. Lambskin lined interiors feature one interior pocket.